- Meet in Mohamed V Airport then transfer to Rabat. - Overnight stay in Rabat hotel. - Continue to Fez and overnight in Fez hotel. 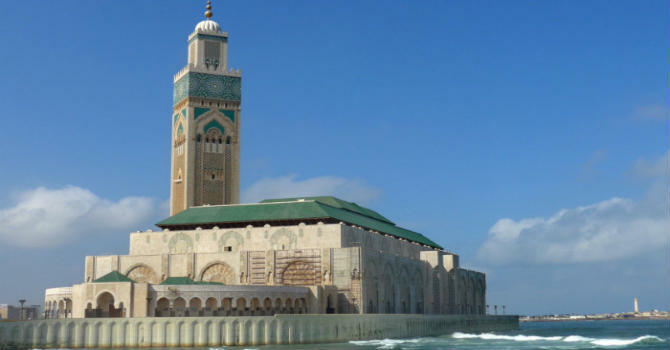 - ٍٍٍٍٍٍٍٍٍٍٍSightseeing tour in Fez the spiritual capital of Morocco. - Overnight in your Fez hotel. - Morning transfer to Marrakech with stops at at Ifrane & Beni Mellal. - Overnight in your Marrakech hotel. - Free morning in Marrakech or book our cooking class (optional). - Breakfast in hotel then drive back to Casablanca..
- Visit Hassan II mosque, Habbous quarters, Bab Merrakch & royal palace.